This post rather than talk about Khador or Trolls (blasphemy), I want to talk about one of the most noble and big hearted things Ive ever seen. If you were at Lock'n'Load you probably saw a young man in a wheelchair being accompanied by his grandpa. I got a chance to talk to the grandpa while the kid was being helped by their NA. The love and compassion that the grandpa had for his grandson was astounding. The grandson couldn't move his arms so he would tell the grandpa where he wanted his figs to go and what they were to do and the grandpa would do it for him. Honestly I was choked up by this. That grandpa deserves a medal. Not only was he taking an interest in the things his grandson was doing, he was enabling him to do it. I think that kid, for his grandpas sake, should have won one of the battlefoam bags that were in the drawing. I just wanted to tell you all about someone that made me a better person. There is a lesson there that we can all learn from. Khador doesnt need more arc-nodes. We have plenty of arc-nodes. The main spell we cast through those nodes? Axe to face. Juggernaut, berserker, drago, beast. They're all great nodes for the Axe to face. If you haven't seen them yet, this post will be the third in my tactical write-ups regarding the battle between Goris and theummhmmguy/thegreatblah (TUHG); the general thoughts and inspiration are here, while the 35 point list and usage is here. At 50 points, things get pretty interesting. One of the things I always struggle with at 35 points is that the warcaster/warlock selection has a very large impact on the game, and the army usually can't afford much support and so is forced to rely on one really good trick or gambit in order to achieve victory. If that trick fails, the army folds quickly. The Great Wall strategy detailed in my first installment of this series was a good example of that. It's basically a denial/attrition strategy with a warbeast assassination sucker-punch. It was also chock full of support to make that strategy happen, which always makes me uneasy. At 50 points, we're free to think a little bigger. The main thing to note is that at 50 points, the utility of Iron Flesh drops because it's a single-unit spell. Now, that's always going to be on the unit that's likely to do the most damage or be the best skirmisher, but there's got to be something else in play to really make the army shine. It's this extra stuff that has me interested, because it can build upon the support-heavy base that's already in the list. Hello all! I am SlapHappySid, and I am new to the Scrum. I will be heavily involved with the new painting service that will begin soon. Stay in touch, and we will release more info on how you can make use of it. I will also be blogging about modeling and painting not only Trolls, but also other factions, and what techniques I use to make it happen, and look extremely well. Speaking of extreme, the extreme mauler that you see in the Painting Service page was painted by yours truely. I would like to actually take a moment and write about how this extreme mauler came to be. I will still talk about the Scattergunner UA because I have a lot of thoughts about them, but this post is mostly just about me saying hello to all the Scrummers out there as well as welcoming all our other new bloggers to the Scrum. Lock n Load Tournament Results and Reflections. After going to PAX for a good many years the beauty of a small convention can sometimes be lost on people. It was on me as when I arrived at the Red Lion in Seattle only a ferry ride from my home. I was taken aback by how many people I saw trying to cram themselves into one convention room. Needless to say it was an amazing weekend. I competed in 3 tournaments, walked away with some sweet swag and met some folks from the forums(some of you might not have known it though) who were a true pleasure to play against/meet. I'm going to break the tourney stuff down and then I will come back to the awesome meet and great and other reflections, so enjoy the ride. The lesson here is TheGreatBlah isn't photogenic. Greetings to all on the scrum. I am here to officially introduce myself. 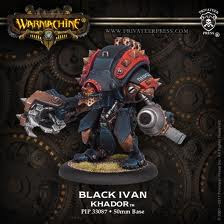 On the Forums I am now, Sephiroths_Khador. I have been recruited by The Great Blah and Goris to be a correspondent on the Khador Faction. My posts will consist of tactics and overviews of Khador, but especially how Khador interacts with the Trollbloods. I guess that the first thing I should talk about is Harkovich and Black Ivan. Harkovich is a beast. Our local Merc players says that he is a better Broadside Bart than Broadside Bart is. When you have two destroyers and Black Ivan, the broadside spell is a brutal volley of range 14 pow 14 goodness. Combine that with his feat Iron Wolf. Your battlegroup (remember battlegroup) charge and slam for free, and if they are in Harks control when the charge or slam, they get a free shot that doesnt count towards its RoF. So after weeks (years, from a certain perspective) of waiting, the Scattergunner Unit Attachment (UA) is out at Lock & Load, and the details are in. **Special note: we've got confirmation that there are going to be additional Epic versions of some warlocks/warcasters, so instead of using eDoomshaper for Epic Doomshaper, I'm going to start using shorthand like Doomshaper2 to avoid confusion for the future. Granted: Quick Work--If a model kills something, it gets to shoot its gun. Tactics: Combined Melee Attack (CMA)--It's in Primal if you want the details, models can get bonuses for ganging up on a target. Tactics: Clear--Sprays don't damage friendly models. It's an officer and Standard, so the officer is most likely +1 MAT/RAT above the rest, and the Standard has Take Up and allows CMD check rerolls as per usual. Cost: same as the Kriel Warrior UA or a Stone Scribe Chronicler. I had a very interesting lunch with my wife's friend yesterday that included some interesting discussions about what kinds of person a gamer is. According to her husband all gamers fit into three general categories; Geek, Nerd, Dork. His point of view got me thinking of which one of those I fit into, obviously my opinion of myself is much greater than others opinion of myself. It came down to the realization that maybe the fit is a little bit in between so I'll let you all judge for yourselves about his ideas and if you have the intestinal fortiutue you can even put yourself in the poll. GEEK ~ A geek is a quintessential gamer. The Geek has two main qualities that define most gamers. First of all the Geek loves to play games. He does not care if the game itself might not be mainstream he simply wants to play. The Geek succeeds at most games he plays and on a technical level becomes the master of those games. On a technical level the Geek is good, very good, and picks up on the subtle nuances of complicated games and remembers details at a point far above a 'non-gamer'. 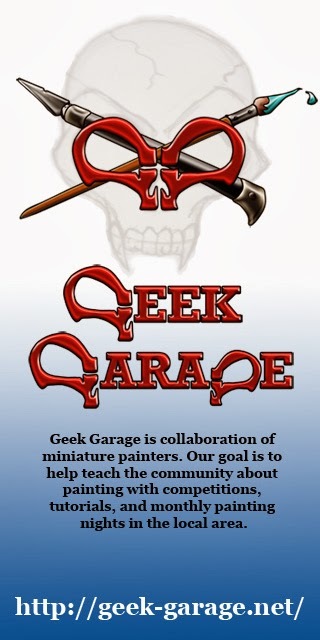 Secondly is what sets the Geek apart from other gamers. Socially, the Geek is fairly well adjusted. He gets along well with non-gamers and is not afraid of who and what he is. Even though the Geek has a good change of beating the shorts off you when you play him, you still find yourself enjoying playing against them. So called 'normal' people enjoy the Geek just as much as gamers do. They are leaders of the gaming world and help drive themselves and their groups to a higher level. NERD ~ The nerd only lacks one thing of the geek. Socially the nerd is just a little off, he just doesn't quite interact with others in the best way. Don't let this deficiency fool you though, what the Nerd lacks socially he makes up for Technically. Because he spends less time on the social interaction the Nerd is the Technical Expert in the game. He knows all the rules forwards and backwards and can get so caught up in the strategy and rules of the game that he sometimes forgets the effect he has on his opponents as he smashes them into the ground. The Geek can give the Nerd a run for his money but the Nerd is the one wins the tournaments. Sometimes the Nerd gets so immersed into their respective games that they get accused of being rules lawyers. Most of the time a Nerd will do just fine in games but come tourney time all bets are off, the Nerd is bringing his A game and because of his over the top Technical ability he will most likely send you home crying for your mommy. DORK ~ The Dork is the bottom of the pile in the gaming world. What the Dork has is a glorious absence of the technical expertise enjoyed by Nerds and the Social saavy of Geeks. The Dork is exuberant in his enjoyment of the games and can always be found intermingled with the Geeks and Nerds. The Dork really wants to be with it and may even think he is a Geek or a Nerd, sadly without the defining characteristics of the Nerd and Geek he is left with being the 'third wheel' of the gaming society. What the Dork brings to the table is the fact that he is willing to play, no matter his lack of understanding or his social ability to fit in he will always be there for a game. The Dork is always willing and usually able, the question is do the Nerds and Geeks have the stamina to play against the. So there it is. His definition of Geek, Nerd, Dork. Where do you fit in? Stay tuned for picture upon picture from Lock and Load. That and Borka's untimely demise at the hands of Gunnbjorn. Since time is coming short and I doubt my list composition will be earth shaking I'll post one of my masters lists and give a tactical Break down of how I see it playing out on the table. So without further ado...I bring you my eMadrak Masters list. This list is very focused and is for specific purposes. Mostly a grind game and to deal with heavy armor. This will be my list to deal with Khador other Trolls and possibly Legion depending on what their comp might look like. Going extremely beast light here is by design. Everything in this army is a heavy hitter and very few things in this list will have a hard time hitting what they are after, Long Riders the least. The Pyre and Impaler provide the oh so need ranged support and give the list 3, 12" ranged shots if need be and a sweet damage buff. This will help Madrak for getting into the mix or throwing his axe if need be. This choice to go beast light also leaves extra points for infantry and solos which this list is chock full of. Holy crap infantry. With the exception of Champs everything that's scary in our army exists in this list. I mean it's a solid wall of Trolls that just have to be dealt with otherwise your opponent will be eating a crap tone of weapon master charges. You do not want to mess with a pow 17 weapon master caber at MAT 9! Anyway, gushing aside we all know this has true output potential. The big thing here is it's versatility for scenario play. Kriels can be super hard to remove from an objective and under good tough rolls your opponent will be infuriated at trying to clear them off. Also, everything in this army is fast as hell. So, for the capture the flag stuff, or the take and hold on your opponents side of the board stuff, this list can handle almost all of it and Kriels give you that buffer. You could also use them as Grim Salvation fodder and just keep them back as body guards. Using the caber tossers as a conduit for Grim Salvation and loose placement of your Kriels makes eMadrak nearly impossible to kill. Overall, every pieces of infantry in this list is solid. Standard load out. You guys know the drill. However, I left the Chronicler out for a few key reasons. I won't be using this list against gun line armies most likely. I won't need Charge of the Trolls and I only have 1 reach beast. My solos will be back line if I can help it and making sure I always have the necessary buffs. The selection is pretty strait forward. The strategy for this list is pretty simply jam you up with infantry and try for a big feat turn or kill my opponent with waves of infantry trying to deny them control points. Either one should work as well as you might expect. This list will not be meant to deal with faction I perceive to have too many tricks available to them. I really enjoy playing this list as my opponents struggle to address everything on the board as every piece can be deadly. So my second list is my other most played caster since MKII and easily my most played in MKI. Madrak, Thronwood Chieftan. The old standby. He doesn't have the offensive power ability of his epic form but he brings other things to the table for scenario play. The first thing you will notice is that there is only one beast. If I lose him I'm screwed. The second thing you will notice is that there is no Kriel Stone. I know its good but I just don't feel like it adds enough to my list to be worth losing half of one of the units. First things first, the Mauler. We all know beasts are needed and even fantastic so why one Mauler. The answer is simple, out of all our casters pMadrak manages fury the worst and can run the lightest AND I want as much infantry as I can fit in the list to help swarm the board. So my choices are either one heavy that costs nine points or two lights that cost 9 points. I chose the one melee heavy that can really get it done in melee if necessary and that has a spectacular animus for any models in range. Since I'm not certain how well I'll do AND since I'm certain it won't change what others bring I have decided to post my tourney lists for Lock and Load. My first list is pretty simple all comers list designed to be well rounded without losing a good kill condition. The first caster I chose is the caster I have played the most with in MKII and am the most comfortable with, Grim Angus.